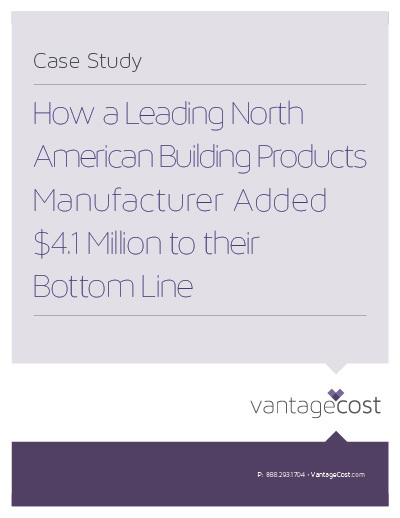 In six months, Vantage helped a leading North American building products manufacturer bolster its bottom line by $4.1 million, implementing major spending reductions and revamping the supply chain. • Saved nearly 26% in just one category alone. • Negotiated price reductions with existing and new suppliers.